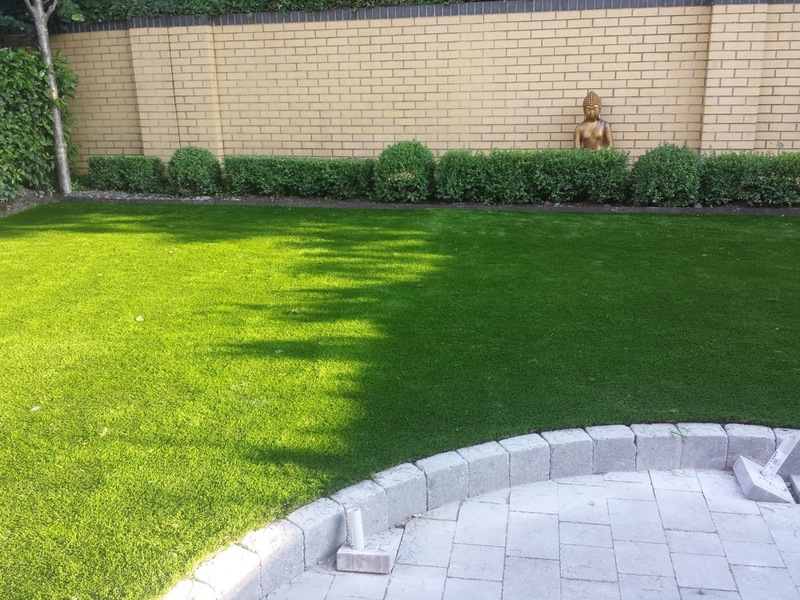 a Garden Restoration and reDesign with an AstroTurf artificial grass lawn was installed for a Garden Lover in Malahide, Co. Dublin. 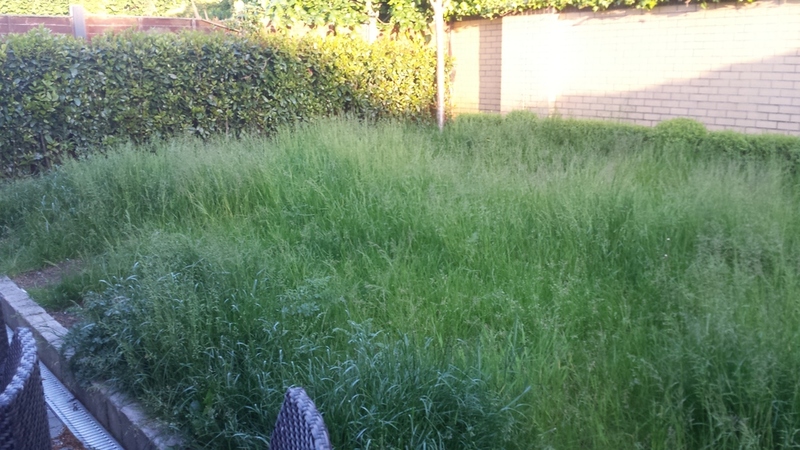 The lawn area was completely overgrown due to a busy lifestyle for owners. 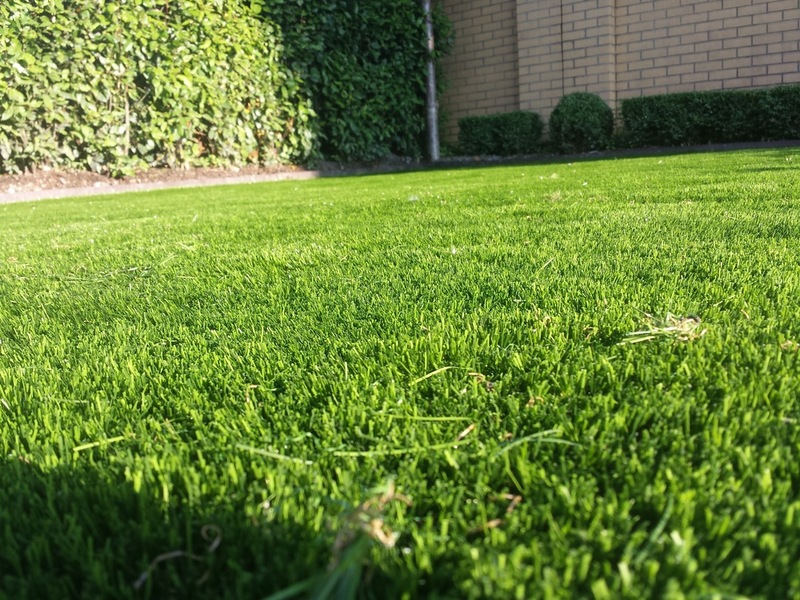 TigerTurf was the perfect solution. 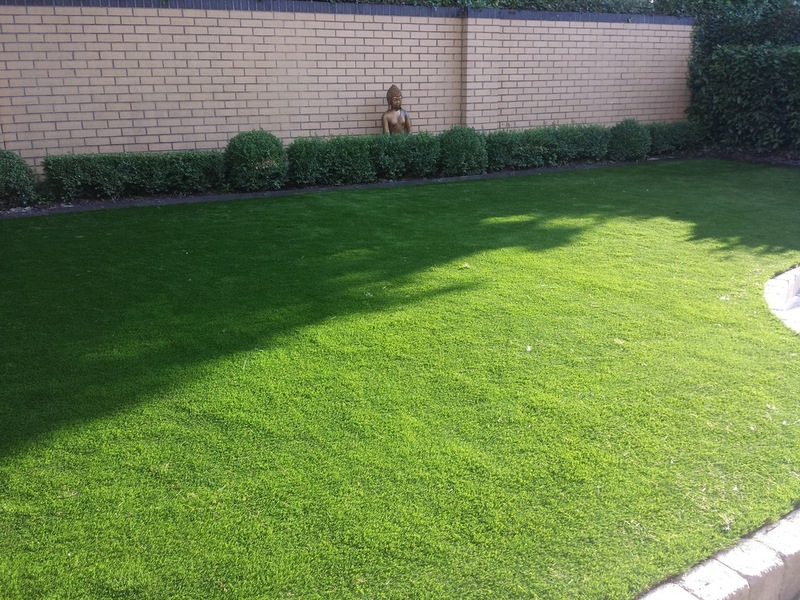 Brief also included landscaping the extension of existing patio with a curved design jutting into lawn. The Garden landscape was transformed into a new outdoor haven for both leisure and entertaining. 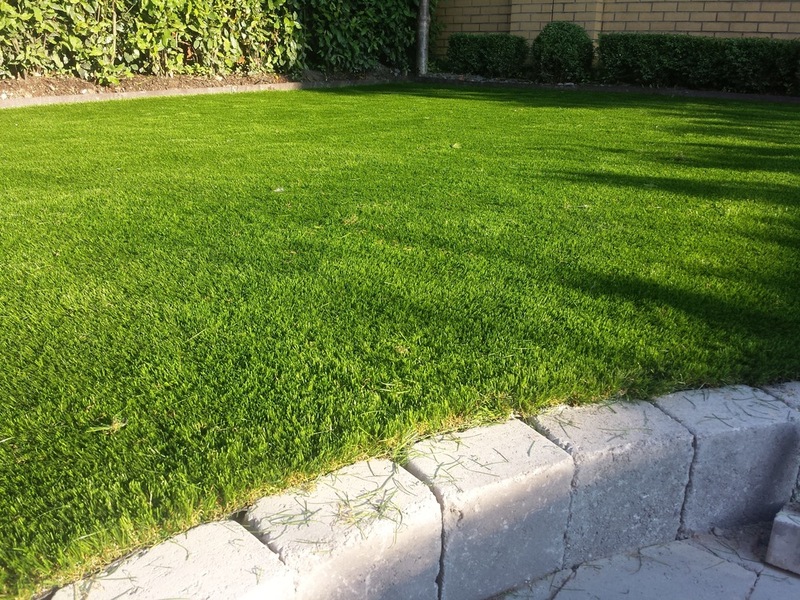 Purpose made lawn edging system was used for a sharp and distinctive edging to lawn. 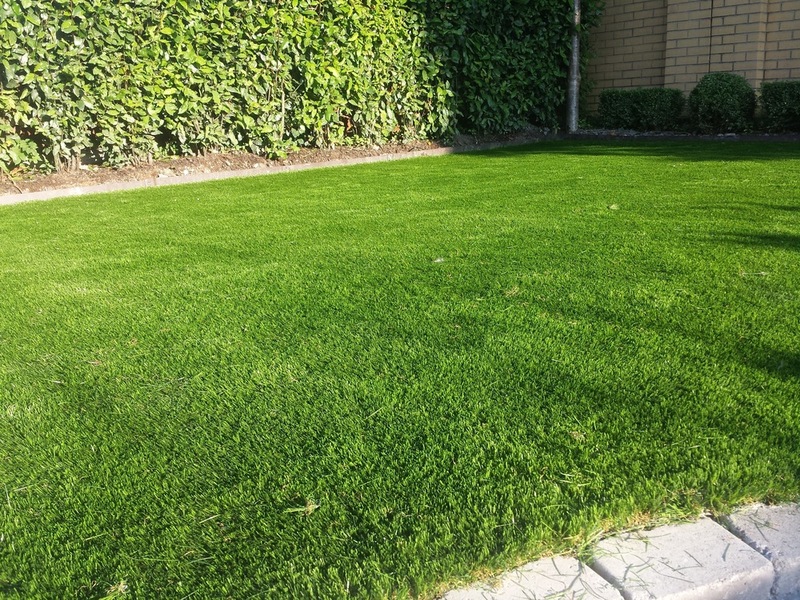 clients were totally amazed with their artificial lawn and new expanded patio surface.